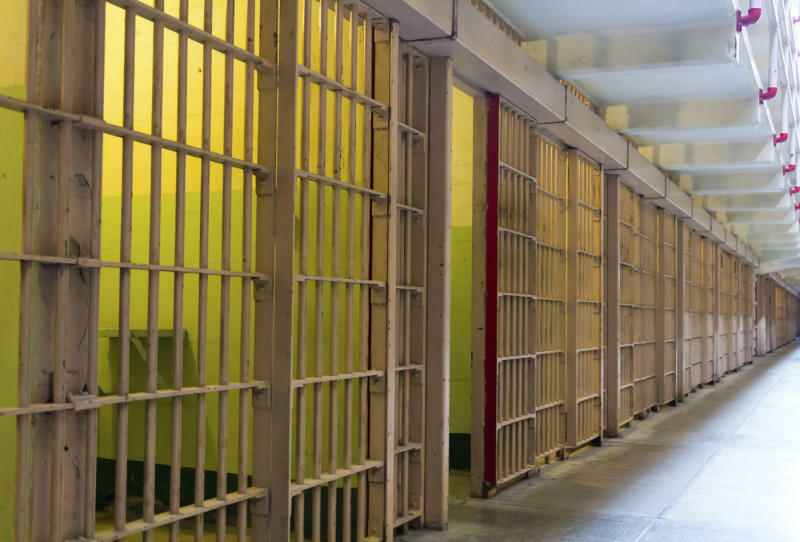 The head of Kentucky’s Justice and Public Safety Cabinet and two Republican state lawmakers say the legislature needs to make changes to the state’s criminal code to address the state’s surging prison population. The number of people in Kentucky’s prison system surpassed 25,000 for the first time ever this year. Officials have warned that without reforms, the state will run out of space to house prisoners sometime next year. During a panel at a Kentucky Chamber of Commerce convention, Justice Secretary John Tilley advocated for reducing penalties for some drug possession charges and eliminating the state’s cash bail system. “This is no laughing matter. It’s crippling our jails and our corrections system and it’s completely exacerbating the problem and it’s actually contrary to public safety,” Tilley said. Attempts to reform Kentucky’s criminal justice policies haven’t gotten traction in recent years, despite support from influential state officials and lawmakers. Gov. Matt Bevin appointed a task force to look at potential changes two years ago. The panel has produced recommendations, like getting rid of Kentucky’s money bail system and easing the threshold for non-violent felonies including theft and missing child support payments. Whitney Westerfield, the Republican chair of the Senate Judiciary Committee, said in previous years, proposals to eliminate cash bail have stalled amid opposition from locally elected prosecutors and judges. Officials estimate Kentucky incarcerates about 37,000 low-level offenders for an average of 109 days every year, costing the state about $120 million. Rep. Jason Nemes, a Republican from Louisville, said that the legislature needs to “stop making things worse” by creating new crimes and penalties, specifically criticizing the “gang bill” that passed out of the legislature this year. “The gang bill was atrocious. It’s going to cause all kinds of problems,” Nemes said. The new law broadens the state’s definition of gangs, increases the penalty for recruiting gang members from a misdemeanor to a felony and requires those convicted of violent crimes to serve at least 85 percent of their sentences. The state’s nonpartisan Legislative Research Commission estimated that the gang bill will cost the state about $19.5 million over the next ten years due to increased incarceration. The wife of U.S. Senator Rand Paul is lending her voice to criminal justice reform. Kelley Paul is joining her husband and fellow Republicans who are prodding Senate Majority Leader Mitch McConnell of Kentucky to bring the First Step Act to a vote before the current Congressional session ends next month. The legislation has bi-partisan support and would overhaul many of the tough-on-crime federal policies of the 1980s and 90s. Speaking in Bowling Green on Tuesday, Kelley Paul said those laws have resulted in draconian sentences. As Kentucky’s drug overdose and incarceration rates continue to surge, some are renewing the call for the state to reform its criminal justice system and increase opportunities for drug treatment. Justice and Public Safety Cabinet Secretary John Tilley said the number of people in Kentucky’s prison system surpassed 25,000 for the first time this year. Death penalty supporters and opponents both say that Kentucky’s capital punishment system is too expensive, lengthy and in need of reform. Kentucky has had a moratorium on the death penalty since 2010, but state prosecutors still pursue capital punishment in more than 50 cases every year. During a legislative hearing on Friday, Louisville Republican Rep. Jason Nemes said that the death penalty needs to be sought only in the most extreme circumstances. Allen Hearld says the lab mix named Snookie is the sixth dog he’s trained.